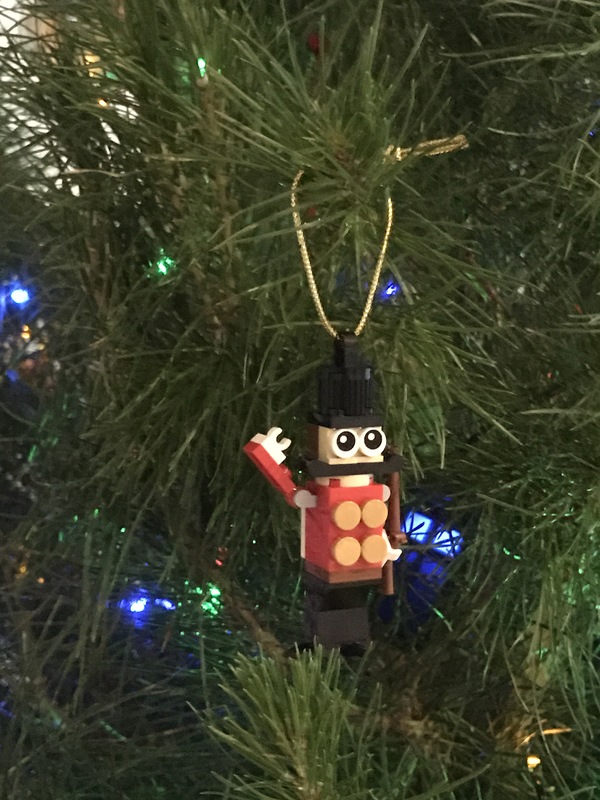 Toy soldiers seem to have their own place in the mythic surrounding the magic of Christmas, from tales of toys coming to life to the nutcracker suite. 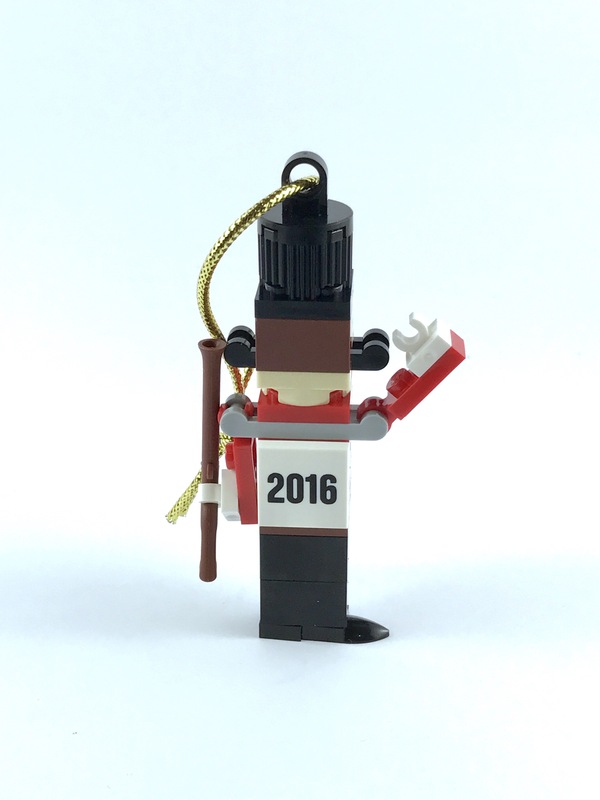 This Toy Soldier (5004420) appeared as a Gift with Purchase in November 2016 in various jurisdictions. With 34 pieces, he also has a small blue bag, secured with a gold ribbon for our soldier to retire to during the off season. This is another example of Mixel eye tiles adding great character to the figure. I also love the use of the modified plate with 2 bars as a moustache! There is limited pose-ability in the arm. 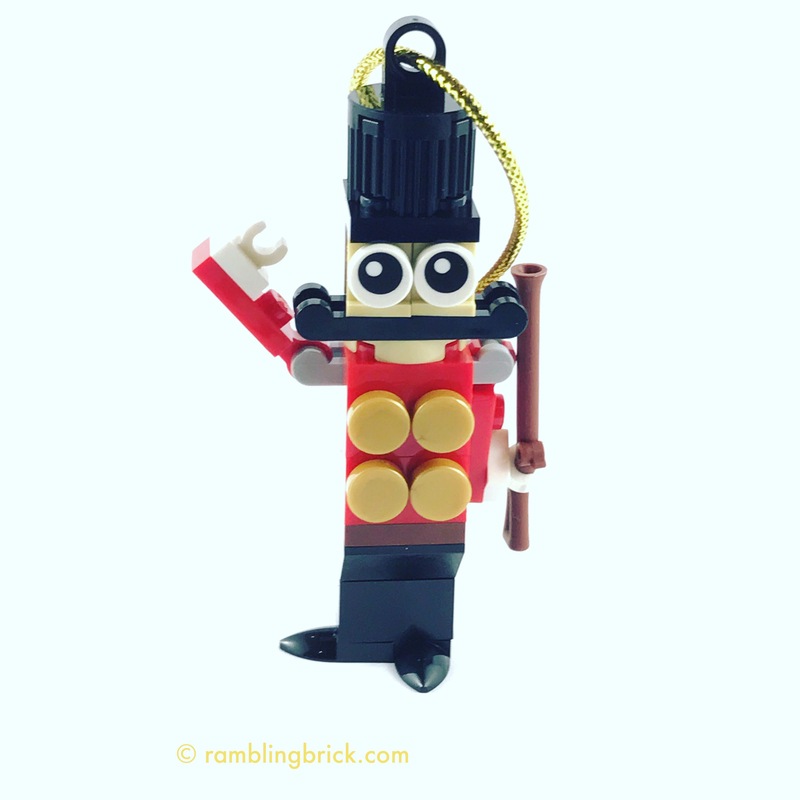 I am fond of the official LEGO Gold String included! Maintaining the vigil through Christmas Eve. Another quick and easy build, which is what you need during the frantic period that defines family tree decorating. For a simple and effective design, as well as relevance to the Christmas theme, I give this build a score of 5 out of 5 arbitrary praise units.